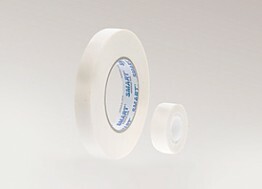 Double sided tape with white PE foam, the modified, transparent acrylic emulsion adhesive and white double siliconized veneer. It is characterized by high adhesion, resistance to UV rays and aging. Suitable for all vertical applications with moderate load, recommended for indoor use. Used for fixing mirrors and crystal elements, metal plates, decorative moldings. Very useful in industry, small-scale manufacturing and services (production of furniture, plastic products, automotive, home improvement and many others).